If you need more light in your hallway; this is the door. 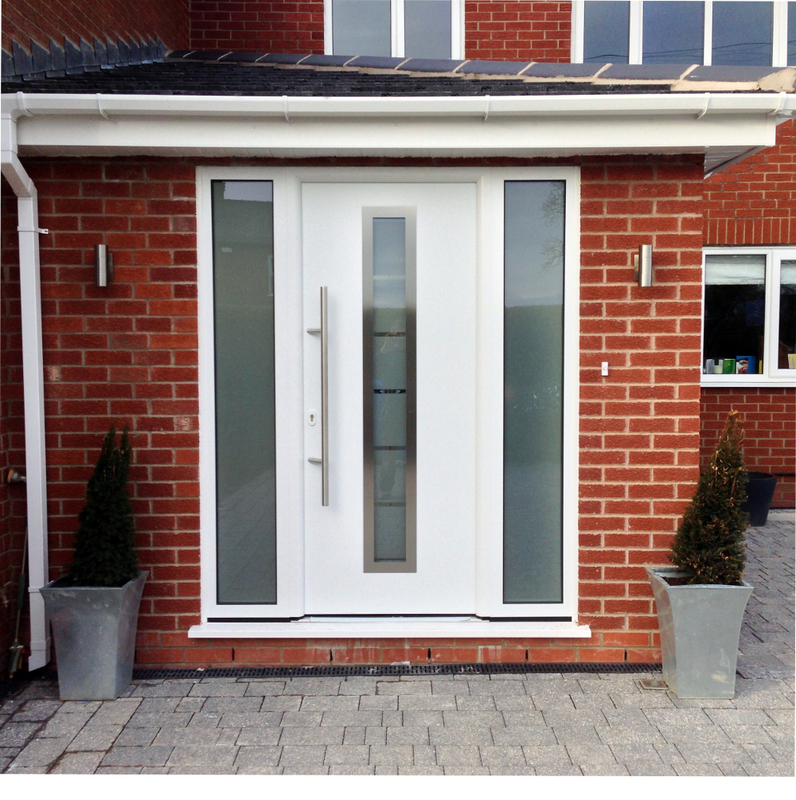 The Rockdoor Classic will give a vast amount of additional internal light. With simple bold lines it is easy to see why Rockdoor named this one the Classic. It is another Rockdoor that will not look out of place on either contemporary or traditional homes. Another beautiful door from the Rockdoor Ultimate range. Consequently, this is the only composite front doors of a quality good enough for Lakes Garage Doors to sell. This particular door can equally be used as a back door. 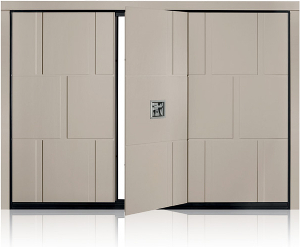 The Rockdoor Classic is no different than the other doors in the Rockdoor Ultimate range. The security is the best of any composite front door on the market. The door leaf features multi point hook locks of German manufacture. In addition, the lock barrel is anti bump in accordance with BS 1303 and has a zinc plated concealed protector. The whole mechanism is further protected by anti-drill plates. The carbon fibre reinforced inner frame is an industry first. This frame holds all the components including the hinges, deadbolts and locks. Of equal importance to the door leaf of the Rockdoor Classic is the outer frame. The frame has a full length steel keep into which the hook locks engage to prevent forced entry. As well as this the door leaf can be specified with a steel mesh inside. This can give the door up four times the strength. Furthermore, the door can also be specified ‘Secured By Design’. This is an accreditation fully endorsed by the police. Importantly, to reduce crime, the door will have been tested in accordance with strict guidelines. All twelve of the Rockdoor colours and finishes are available for the Rockdoor Classic. A careful examination of the colour swatch is recommended. The colours and woodgrain finishes are all UV stable. The door has Heat Shield technology. Furthermore, this technology, standard on all colours and woodgrain finishes, reflects the NIR rays of the sun helping to keep the surface cool. As a result, the door will not bend, warp or crack. The insulation of the Rockdoor Classic achieves an ‘A’ for thermal efficiency. It has a 50mm PU foam insulated sash. The glazing is 22mm Argon filled soft coat glass units. These are just some of the features that make this door a great insulator.